Blogworld’s New Media Expo was held this past weekend in Las Vegas and the HostDime crew was fortunate enough to exhibit at the event and witness some very informative presentations. 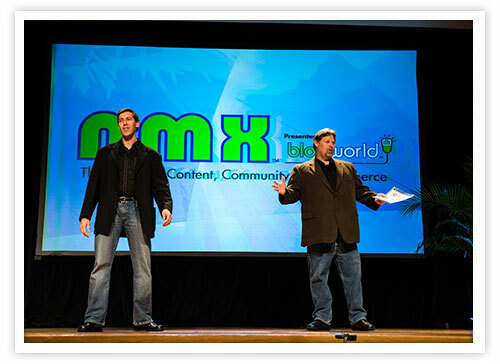 NMX is the world’s first industry wide conference and trade show dedicated to providing knowledge and access for bloggers, podcasters, and other web content creators. NMX was a hugely successful event, from inspirational opening keynotes by Stan Slap and Digital Royalty’s Amy Jo Martin to a funky close featuring The Talking Dead’s Chris Hardwick. The digital expo thrived in the real world and online as the event garnered over 4000 tweets, 2200 contributors, 47 million impressions, and that’s just statistics from one day! HostDime would like to give a shout-out to our awesome exhibitor neighbors Libsyn, who cleaned up at the NMX Podcaster Awards. 14 of the 22 podcast winners of this year host and publish with Libsyn. They truly are dominating the podcast industry right now. Many thanks to those who came by and said “Hello” and inquired about our hosting products and services. If you were unable to make it to the desert this year, you are still in luck! HostDime scoured the internet and hassled some speakers to give you 15 full presentations from this year’s expo. Click here to request slides from Jay Baer. We’re not done with #NMX yet. Early next week, we’ll report on more of what we learned from speakers at the expo to help with your blog and business. Subscribe to our RSS feed to stay up-to-date with new articles every week! Jared S. is HostDime’s Technology Writer. Add him on Instagram and Twitter. Follow HostDime on Facebook and Twitter. DID YOU KNOW? 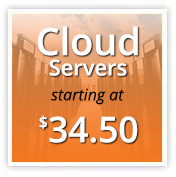 HostDime offers a wide variety of fully managed dedicated servers that range from basic to the most advanced and sophisticated in the hosting industry! Thanks for including me here guys! This is a great curation from some of the best. Very humbled to be a part of it.